Before you think about filing for bankruptcy because you are in a financial dilemma, try to think first about how to choose the best debt management program. For people like you have this kind of problem, it’s best to find a management program for debt. This is a kind of debt relief program wherein a counseling agency will work together with your creditors in order for you to pay your monthly payment at a rate more convenient for you. With the right debt management program, you can be able to learn how to negotiate lower interest rates and you can even learn how to waive late fees and other payments. It can even help you consolidate all of your loans into one so you can conveniently pay them without any worries at all. Enroll in a debt management program. A lot of free credit counseling programs are being offered for free. Bear in mind that this free DMP (debt management program) are mandatory prior to enrolling in a DMP. You can contact your bankruptcy lawyer and ask him about DMP. It is the first and important step towards a debt-free life. You can also find a lot of credit institutions that offer credit counseling. Click here for more info. The next tip is all about self-discipline. Try to get rid of your unnecessary expenses. You should focus more on what you need and not on what you want. Focus on your present debts. They are your priorities in life as of this time. You might be aching to purchase that new flat-screen LED TV through credit card. Get a hold of yourself. Since there are lots of DMPs out there, you should take the time in weighing the pros and cons of signing up for one. Remember, even though DMPs can help you with your debts, this is not for everyone. Lenders will take a look at your credit history not just to see if you have already filed for bankruptcy. They will also try to see, in spite of your situation, if you have been paying your dues diligently for the past few months or so. Looking at these tips, you can now be able to learn how to find the best debt management program. * You should first find a good credit counselor before you can find a good DMP. 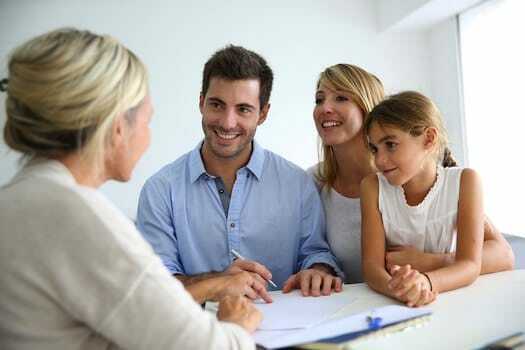 Sometimes, a good credit counselor can also offer you the best programs for managing your debt. * If possible, try to look for a credited, licensed and non-profit agency and is currently licensed specifically in your state. *Try to look if they are offering large fees. The first thing you should do is to find out first about their fees. You need to read between the lines and read the fine print. Some may have hidden charges or even outrageous upfront fees. *A reliable agency offering DMP should be trusted especially with your personal and financial information. Make sure that nothing leaks out from them. Bankruptcy can be a better solution for your financial predicament but a debt management program can do wonders.